Five students took a trip around Columbus to find their favorite burger spots. From eating Happy Meals as a kid, to stumbling into McDonald’s as a college student after a long night out, there is one thing we can all agree on: everyone loves burgers. Whether it is made of beef, buffalo, or black bean, nobody can resist the appeal of a burger and an equally delicious side. For my friends David and Adam, along with me and a couple other rotating friends, their quest was to find the best burger places in Columbus over the course of a week, and they succeeded. 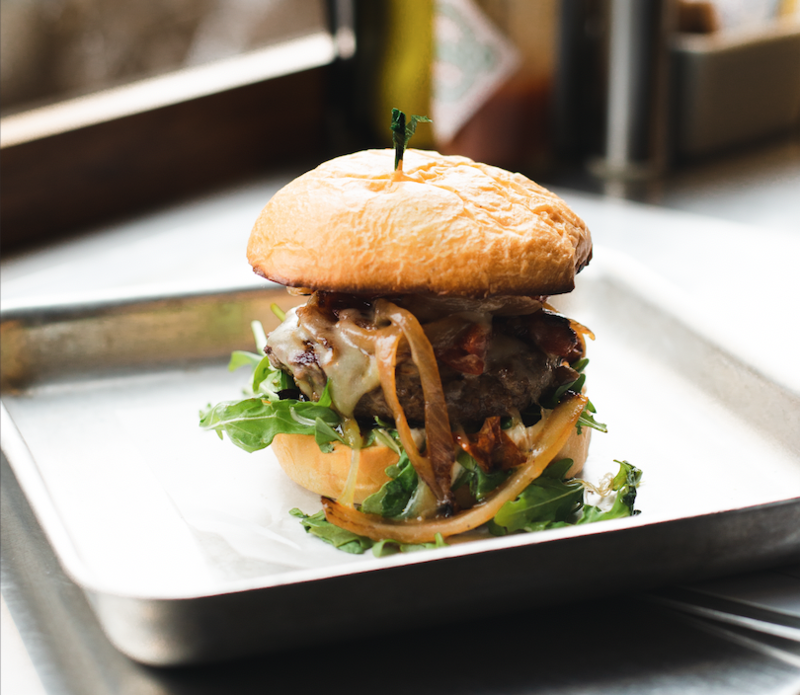 So, if you’re looking for an upgrade from McDonald’s or the patties you’ve been cooking in your off-campus apartment (or possibly your dorm), here are some of the most mouth-watering burger joints you can try around Columbus. ROCKMILL TAVERN| 503 S. Front St.
Photo provided by Rockmill Tavern. 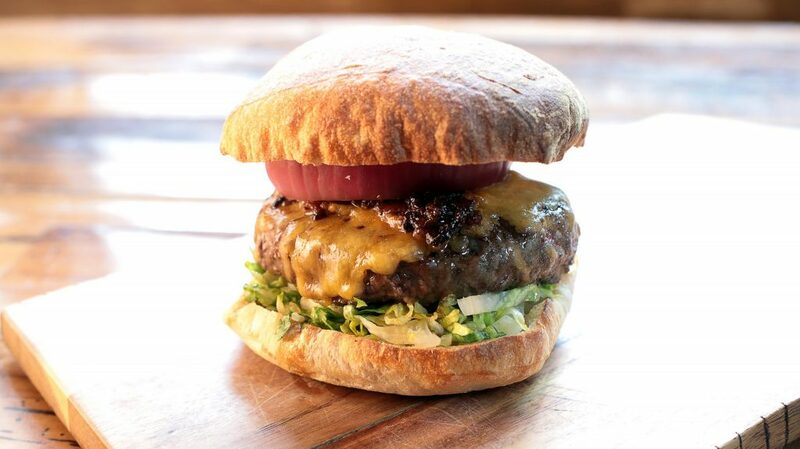 Rockmill Tavern has it all—a great burger, delicious sides, and excellent service. Their Tavern Burger on a ciabatta bun is topped with dijonnaise, Tillamook cheddar, and a bacon jam you can’t find anywhere else. David said, “I wasn’t enthusiastic about the price at first, but it was well worth it”, and the whole group gave their compliments to the chef. For a perfect meal combination, get their crispy brussel sprouts or fries as a side. Happy Hour at Rockmill has snacks to keep you drinking all afternoon, like their heirloom popcorn that has ever-changing toppings or adobo wings with a Filipino marinade. PHILCO BAR + DINER | 747 N. High St. Looking for a small, cozy location to grab a bite to eat? 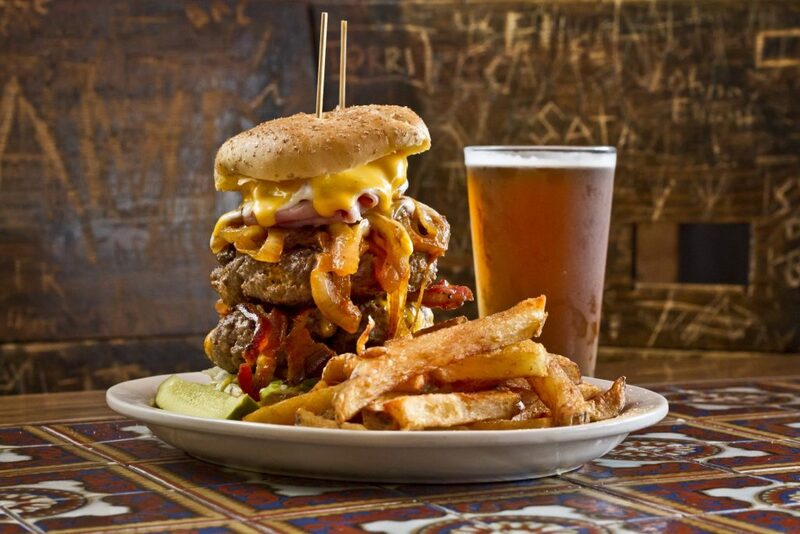 Stop by Philco’s and try their Phillip’s Burger. It’s covered with a spicy pickle mayo and sun-dried tomatoes, along with some other unique toppings like arugula—you’ve never had a burger like this. Order a Johnnycake (cornbread) as a semi-sweet side to even out the savory flavors. The Philco Float is an adult twist on a childhood favorite that is the perfect dessert to your meal, with vanilla bean ice cream floating in a mixture of vodka and root beer. THE THURMAN CAFE | 183 Thurman Ave.
Photo from (614) Image Archive. The Thurman Cafe, named appropriately after the street it sits on, is one of the most well-known burger places in Columbus. The Thurmanator, their giant burger made out of two 12 oz. patties, was featured on the first season of the Travel Channel show, Man vs. Food. David’s reaction to the Western Burger after he ate was immediate—“The second best burger I’ve ever had.” Pick up some Sloppy Fries that are soaked with Thurma Teri Garla Yaki (teriyaki) or Thurma Goldi Garla Lina (carolina gold) sauce, and you’ll be full for days. Thurman’s is a popular dinner spot, but luckily it hosts a full bar, so you’ll have no shortage of drinks while you wait.